Award-winning meteorologist Chad Myers is a well-known figure in the field of reporting. His no-nonsense and simple reporting has made Myers a respected reporter. He has been working as a meteorologist and a severe weather expert for CNN since 1999. Before joining CNN, he worked as a morning weather analyzer at WXYZ-TV in Detroit. He has embraced his ability to explain complex issues in a plain and meaningful way. His straight to the point reporting of particular issues and his ability to simplify any information has been the reason for Myers being at the height he is today. Chad Myers was born on the 15th of May in Buffalo, New York, USA. He is of American nationality. He graduated from the University of Nebraska with a degree in bachelors of science in meteorology in 1987. He also holds the American Meteorological Society Seal of Approval. The Buffalo native is a private person whose details about personal life has remained undisclosed. 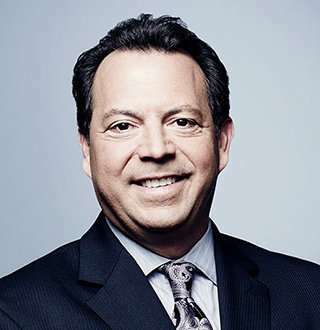 Chad Myers began his career at CNN in 1999. He currently works as a meteorologist and a severe weather expert. He forecasts significant weather happenings across the US and Canada. Along with weather reporting, Myers is also a science reporter for CNN. He covers natural disasters like earthquakes, tsunamis, floods and more. His contribution to the coverage of the Chilean earthquake, the rescue of miners and the Gulf Oil Disaster won the network a Peabody Award. His knowledge about aviation, engineering, and science gave him an upper hand in making complicated stories more understandable to all. An expert in his field and a well-respected figure, Myers has had a stable career. Over 20 years in CNN has seen him rise from the bottom to the top. He has an annual salary that ranges from anywhere between $70,000-$100,000 which is a handsome amount of money to be earned. How much his net worth is, however, remains uncertain. It is estimated to be in the millions but the exact amount is still under review. We feel he could be worth a decent amount. Is Myers Married (Wife)? Rumors About A Possible Affair? Chad Myers is a person more focused on his professional life rather than his private life. When off-camera, he is a family man who likes to keep personal things away from the limelight. But he does once in a while posts pictures of him having a good time in his social media. From his twitter posts, it can be seen that he likes to spend time with his family and that he enjoys his time offs. It is certain that Myers is a married man but as for the details of his wife, there is little to no information available. The duration of his marriage also seems to be under the rocks. He has however revealed that he has a son but further details still remain undisclosed. It seems Myers just likes to keep his family away from the public and not have the media getting involved in his private life. His secretive life has somewhat of a negative impact. Being low-key creates uncertainties. Rumors had started to circulate about the possibility of Myers having an affair. But Myers being Myers, chose to ignore such rumors and has chosen to remain mum about such gossips. Whether or not those rumors have any base to them can only be answered by Chad Myers himself. Jackie DeAngelis Age 25 Bio: Does "Energy Empress" Has Husband? Jennifer Lahmers From Fox 5 Wiki: Getting Married To Famous Doctor? Retired Gay Star Sam Champion Salary, Net Worth & New Job Revealed!..Now?